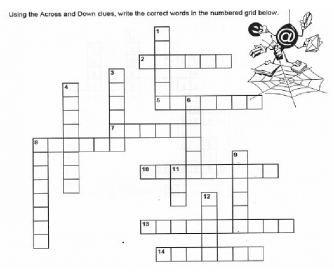 Computers and Internet crossword puzzle is in three parts. I did not originally make this puzzle; however, I did edit it so that it now includes ALL of the clues. I do not know its original creator. 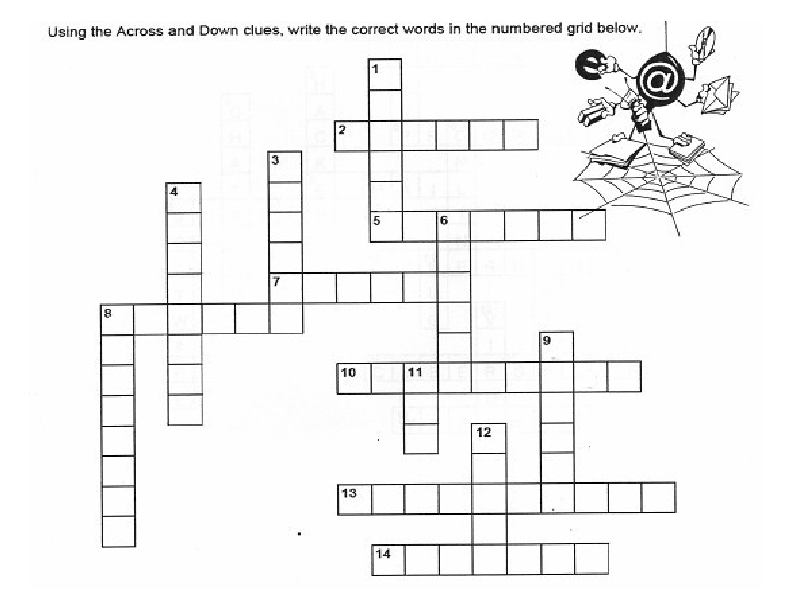 Part 1 is the answer page – always nice for the teacher. Part 2 is the clues page. I divide the class into 2 groups so that they can compete. I give each group a different colored whiteboard pen. Part 3 is the puzzle that I project onto the whiteboard. I have used both general computer projectors suspended from the ceiling and interactive whiteboard projectors. When someone from a group knows the correct response they use their group’s colored pen and right in the correct answer. When the puzzle is finished I add up the words for the two different colors and see who the winner is.